Officer Roche was born in 1875 and served as a constable in Limerick, Ireland before immigrating to the United States. He was a 6-year veteran of the Nashua Police Department when, on September 23, 1928, he responded to a possible break-in at a residence. When he arrived, Roche saw Thomas Kelly, who was trying a door at the residence. When he turned to blow his police whistle for help, Kelly shot Officer Roche six times. During the melee, Officer Roche fatally shot Kelly, who died that day. 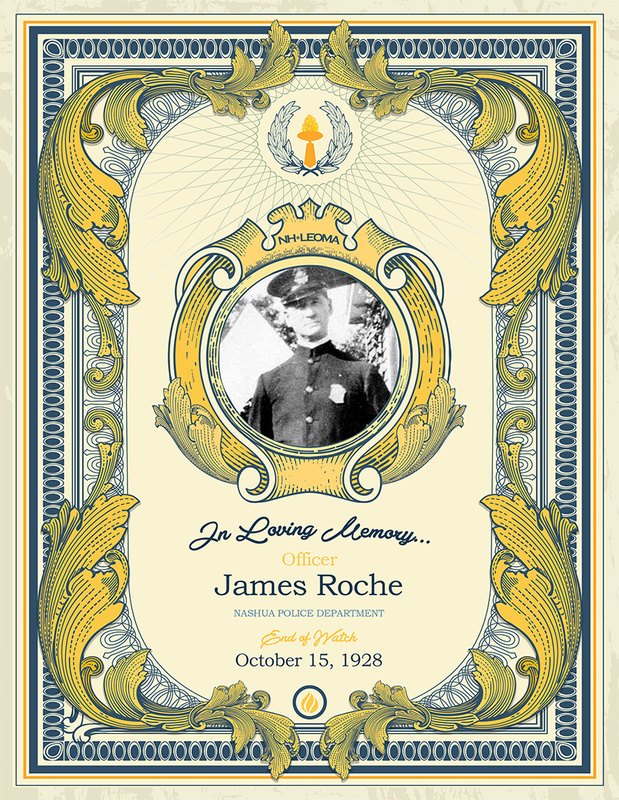 Officer Roche died from his wounds on October 15, 1928. At the time of his death, Officer Roche was 53 years old. He left behind a wife and five children.